Start by thawing your puff pastry. I like to put mine in the fridge overnight. It should be ready to use the following morning. It is best to keep the puff pastry cold until ready to use or it may not puff when baked. Arrange oven racks so one is at the lowest position and one is at the middle position. Preheat oven to 400 F. Wash all the veggies and place them in a towel to dry. Mince the garlic and chop the onion. Place the eggs, salt, pepper, and cayenne pepper, if using, in a bowl. Unroll the puff pastry sheet. Use a rolling pin to gently roll the pastry to fit a 9″ glass pie pan. Place the pastry in the pan and fold the edges pressing them firmly to the top and slightly over the edge the pan. This does not have to look perfect as it will puff and look great when finished. Take a fork and prick the pastry bottom & sides. Place the pan in preheat oven, middle position, and bake just until starting to brown. Approximately 5 minutes. When finished remove from oven and set aside. If your pastry has moved from the sides, simply reposition it and press it in place. Heat a fry pan over medium heat, add the butter. When the butter is melted, add the onion & garlic and sauté until soft approximately 5 minutes. Add the spinach and cook until just wilted. Remove pan from heat. Gently spoon the cooked spinach & onion mixture onto your pre-baked pastry. Making sure to evenly distribute over entire bottom of the pastry. Sprinkle crumbled feta over the spinach mixture. Reserving some of the cheese to garnish the top. Use an immersion blender to whip the eggs until foamy. Pour whipped eggs over the spinach & feta. Carefully place the quiche into the oven, bottom position. Bake for approximately 10 to 15 minutes. Checking regularly to make sure pastry crust is not burning. When quiche is slightly set remove it from the oven and arrange your asparagus spears and tomatoes on the top and sprinkle with the remaining feta. Return quiche to the oven, middle rack position, and continue baking until firmly set (this means there is no liquid visible when pressing at the center of the quiche). If your crust is getting too dark, at any time during the baking process, you may need to lower your oven temperature to 350F. The entire baking process should take approximately 30 to 35 minutes. Keep in mind, if you lower your oven temp this will increase your baking time. When finished baking allow the quiche to rest 4 to 5 minutes before slicing. 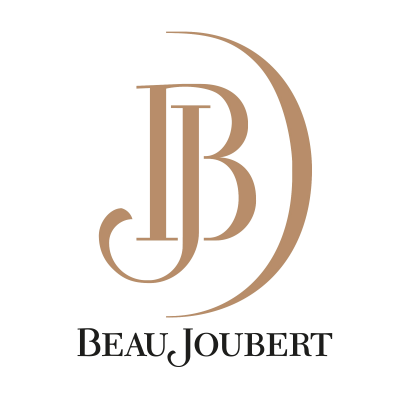 Pour yourself and those joining you a glass of BeauJoubert Sauvignon Blanc and enjoy!